At Butler Hyundai in Medford, OR, we believe that compact sedans can be fun to drive and save you money on fuel. At our dealership, we’re thrilled to have a large selection of the 2015 Hyundai Elantra in stock for you to explore. As one of Oregon’s premier Hyundai dealerships, we house the best selection of Hyundai models throughout the Medford Metro Area, Grants Pass, and Klamath Falls, OR. Visit Butler Hyundai for an incredible price on a new Hyundai and check out the new Elantra today. There’s a lot of strong competitors in the compact sedan segment, so let’s see how the 2015 Hyundai Accent does against the Ford Focus. Subcompact cars excel at being used every day. With the Elantra’s fuel-efficient engine, you can use the vehicle on a daily basis and not worry about having to fill up. 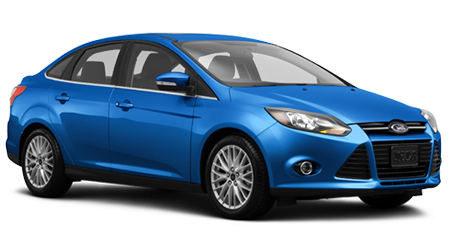 The base Focus is equipped with a 2.0-L inline-four, which is mated to a five-speed manual transmission as standard and can get 26/36 mpg (city/hwy). The Elantra has 1.8-L engine that is matched to a six-speed manual transmission as standard, which helps the compact sedan return 27/37 mpg (city/hwy). Both of these compact sedans ditch their conventional counterparts and boast a copious amount of interior space. The Focus provides you with a passenger volume of 90.7 cu. ft., while the Elantra has 95.6 cu. ft. of passenger volume. The extra five cu. ft. of cargo space allows the Elantra to offer you with more front headroom, front shoulder room and rear shoulder room than the Focus. If you value having a compact sedan that offers you with an ample amount of interior space, then the new Elantra won’t disappoint. The 2015 Hyundai Elantra is one of the best compact sedans on the market today. 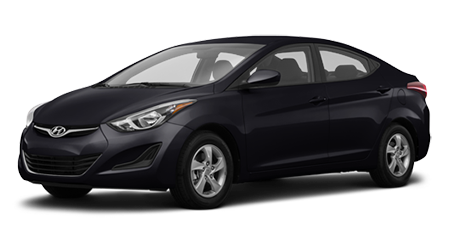 When comparing the Elantra to the Ford Focus, the Hyundai has the edge with its extended warranty, fuel-efficient engine and spacious interior. Stop by Butler Hyundai in Medford, OR and test drive the new Elantra today near the Medford Metro Area, Grants Pass, and Klamath Falls, OR.